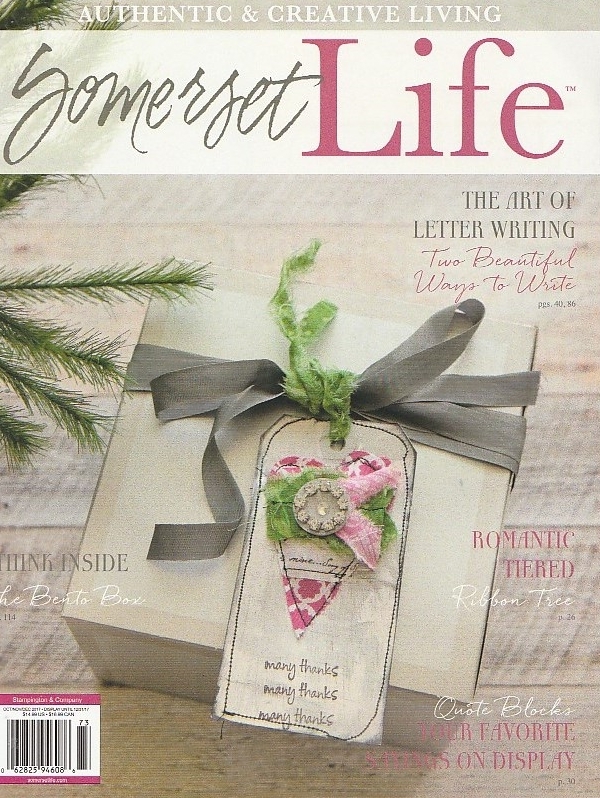 “Vintage Veiled Letters” a feature article in the October/November/December issue of Somerset Life will be on newsstands soon. The artwork was inspired by “The Art of the Letter” challenge put forth by Somerset Life earlier this year. Letter writing is definitely a lost art form. One, that at times, I miss. 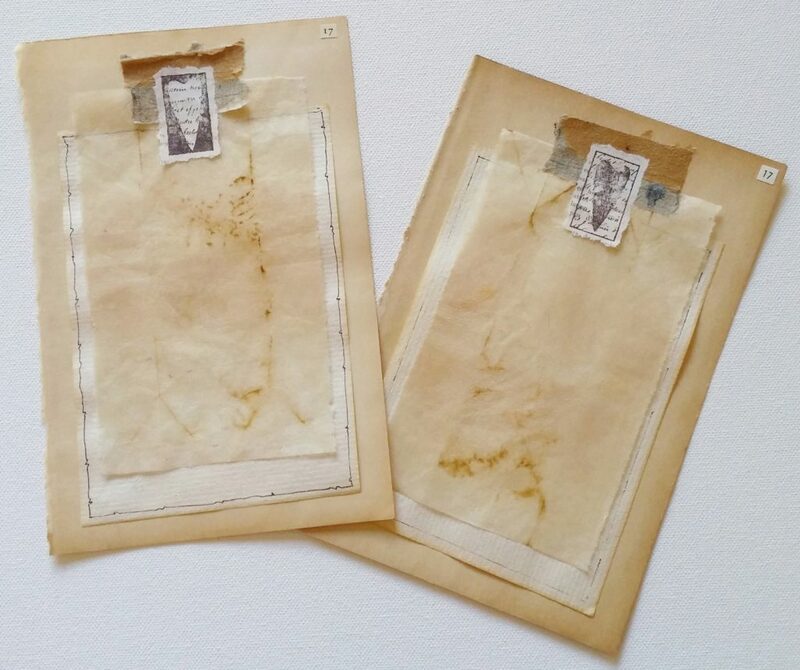 These letters were created with vintage book pages, rubber stamps, ink, old paper and some used tea bags. 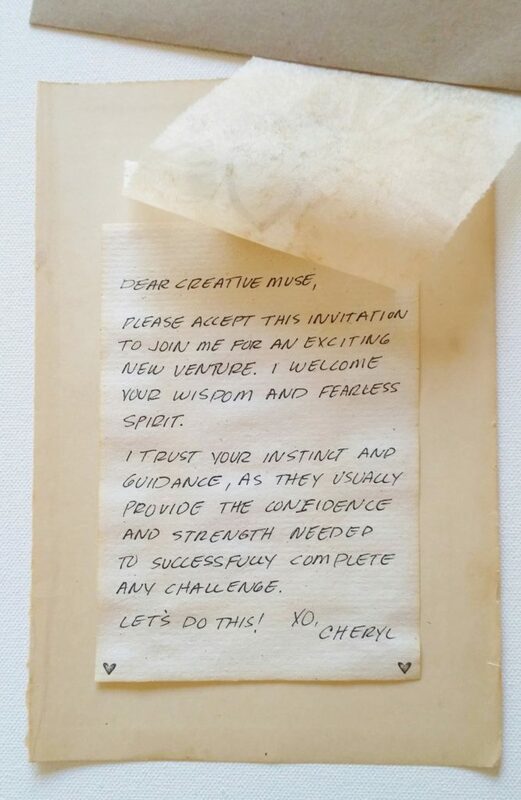 The tea bags were used as a veil over the written part of the letter. 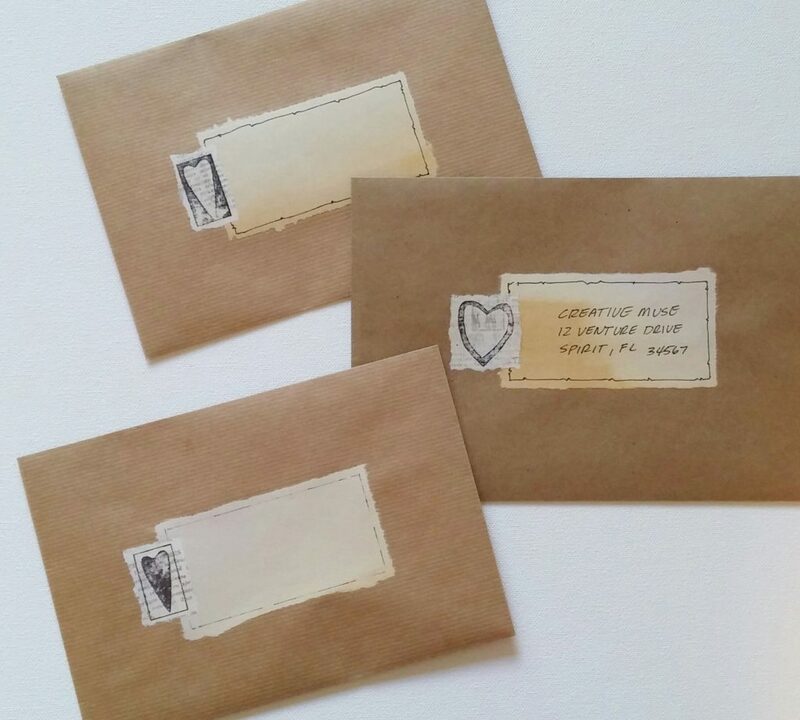 I also made custom Kraft paper envelopes to match.